cPanel is the industry leader for turning standalone servers into a fully automated point-and-click hosting platform. Tedious tasks are replaced by web interfaces and API-based calls. 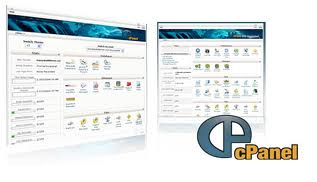 cPanel is designed with multiple levels of administration including admin, end user, and email-based interfaces. These multiple levels provide security, ease of use, and flexibility for everyone from the server administrator to the email account user. - Email Disk Usage interface to view all of your mailboxes and quickly remove old emails or large messages. - Backup Wizard interface as a step-by-step guide to assist you in backup creation. - Metrics Editor interface to select the metrics programs that you want to run on each domain. Softaculous is a great auto Installer having 447 great scripts, 1115 PHP Classes and we are still adding more. Softaculous is ideal for Web Hosting companies and it could give a significant boost to your sales. These scripts cover most of the uses a customer could ever have. We have covered a wide array of Categories so that everyone could find the required script one would need to power their Web Site. - User Manager interface to add, manage, and delete your subaccounts. This interface allows you to link service accounts to subaccounts, and to manage each subaccount's access to email, FTP, and Web Disk. - Zone Editor interface to add, edit, and remove A, AAAA, CNAME, SRV, MX, and TXT DNS records. It combines the functions of the Simple Zone Editor and Advanced Zone Editor interfaces. - SSL/TLS Status interface to view, upgrade, or renew your SSL certificates. - Remote MySQL interface to configure databases that users can access remotely. Use this feature if you want to allow applications (for example, bulletin boards, shopping carts, or guestbooks) on other servers to access your databases. - PHP Version allow to set different PHP version on each domain or subdomain. A set of features design for the more advanced users allows you to specify your own Apache Handlers and Cron jobs, and create your own custom Error Pages. - MIME Types interface to configure how cPanel relays information to the browser about how to handle specific file extensions. For example, on most servers, the text/html MIME type equates to the .htm, .html, and .shtml extensions, which causes the browser to interpret those files as HTML files.